Didn’t I say this was the upcoming post? Yes, I’m feeling a bit cheesy, which is good for this blog. It’s when I don’t feel cheesy that I can’t really get into it. So where was I? Oh yeah, I wanted to talk about Lucas North. No, it doesn’t matter that you’ve put that unpleasantness behind you, I haven’t. For about a year now I’ve been crafting posts to deal with my “issues” with Spooks. The problem is that more than half of them are rants, but bear with me as I decide which ones to inflict on you and give Lucas his due. I owe that to Richard Armitage and his wonderful ability to develop a character. Off to figure out how to get closure on Lucas. Behind the scenes photos of Spooks 7 courtesy of Kuchinggirl. More of her lovely work coming up. P.S. My boy got All-American. Sorry, I couldn’t help but sneak that in since I’m so proud of him!! Thanks for the pics Frenz and Kuchinggirl ! I had seen the first one before, but always worth seeing again. The second one, wow that profile, I love it. But more than the profile is the intensity of his look, the total attention he is giving to whatever is happening in front of him that we can’t see. *Tackles Frenz* You can sneak in whatever you want as long as you’re postng. And the swooning for the random good looking guy in the street? There was a REALLY good looking Brit in a bar once with several other people. I MIGHT have been loaded enough to tell him to thank his parents for me because his bone structure was divine. I repeat, MIGHT. When I found out RA had been in the US I had to do a mental inventory to make sure it wasn’t him that I MIGHT have accosted in that manner. Picture 2: If I were standing next to him I would just stare… just keep staring until he realised I was staring then I would quickly look away and TRY to act like a normal person. @JB Thank you. I wish I could blog more. @sheepa, you and me both! @Judi! glad to be seen and hope to see more of you! @kathryn, I’m so glad you asked ’cause I’m more than happy to elaborate. :D It has several meanings, but for my son it means he is one of the elite long distance college runners in the U.S. It is unusual to be an All-American as a freshman. If he keeps this up, there is no telling where he will end up. Now I’m starting to get antsy that he will one day make Academic All-American as well. Since he’s dyslexic, I’m not putting that pressure on him. But we’ll see what he does. If he does, I’m sure I’ll report it. LOL! 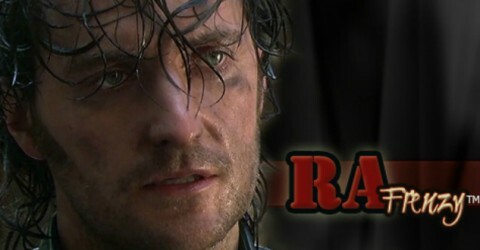 Based on these and other behind-the-scenes pictures of RA, he definitely is intense! Congrats to your son, Frenz! Of course, you are a proud mama, as it should be. Good to hear from you and I hope you and your have a wonderful Thanksgiving. I always love these behind-the-scenes pix of him. 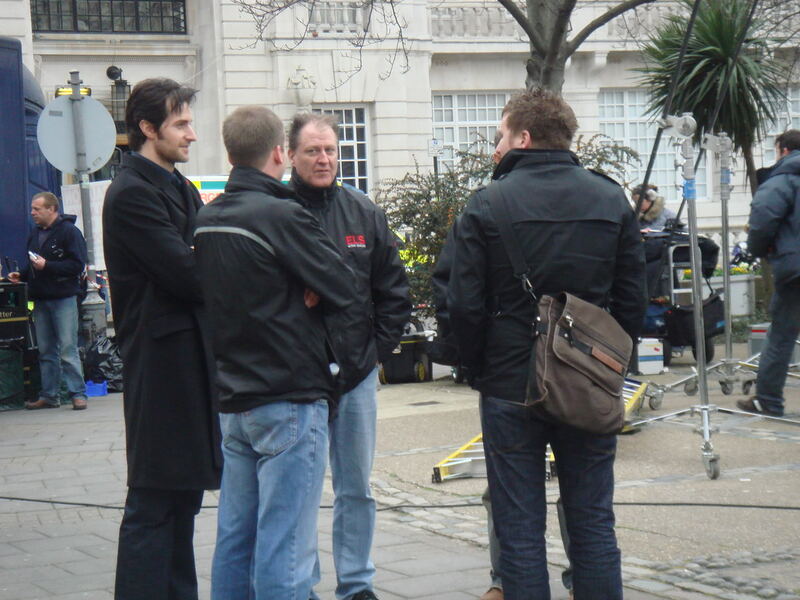 I would find it an absolute treat to be on location and see him at work. It’s the sort of thing I find really fascinating. Welcome back Frenz! I’m glad you suggested to zoom in on that picture because it is definitely WORTH IT! i would love to hear the back story of how those pictures came to be! @kathryngaul – Thank you for asking that question because otherwise I would have had to. Congratulations on your son’s accomplishments Frenz! 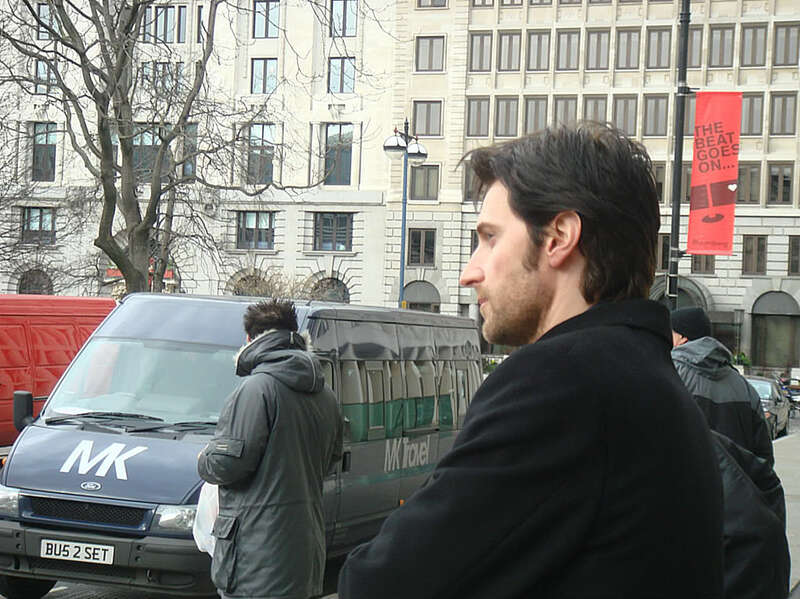 These are the kind of pics that make me swoon because they are glimpses of the real Richard therefore they are unique. The Richard we see on photo shoots, red carpets or even interviews, they all seem like characters to me. All of them very swoonable, attractive, gourgeous etc (don’t get me wrong) but I value this ones much more. Thank you Frenz and Kuchinggirl for sharing these! Congratulations on your son’s achievements Frenz, I know how rewarding this is for a mother/father, and Happy Thanksgiving to all of you! Look how he sticks out! Mmmm that profile & jawline not to mention those broad shoulders ..
Daaaaamn. I don’t know how that man doesn’t wake up every morning, look in the mirror and sing, “I feel pretty…..oh, so pretty…”. What is wrong with him????? thanks for the congrats, Angie. I’m pretty proud I must admit. I’m most proud of my son’s work ethic. Awesome! @ AnaCristina, Iz, I think he’s going to pay hell trying to blend in. @Pi, he has to be self-deprecating to keep his feet on the ground. @jb, I’ll hold you steady while you throw. I agree with Anacristina, those glimpses of him on set, on location, when RA is just being himself are extra-special.Even when it is a behind the scenes segment being filmed, and you see him, for example, in his Guy gear bursting out into a very Richard-y laugh. I remember how he sort of hung back after that first Hobbit press conference, the tall, quiet guy with the sweet smile, not caring about drawing any attention to himself. And yet how can we NOT pay attention? He’s not just tall, dark and handsome, he also has an aura about him, a quiet confidence and innate regalness. Let’s face it, one of the most irresistible qualities about the man is the fact he does not appear to think he is all that and a bag of chips–when so clearly, he IS. pi!!!!! It’s a second Thanksgiving miracle. Phylly, Thank you. Glad to be back among you. “he also has an aura about him, a quiet confidence and innate regalness”- A wonderful description of RA, Angieklong! He certanly has this “aura”. I thing he emanate some sorte of energy who explains why so many people feel that attraction for him.